Heat oven to 350°F (325°F for dark or nonstick pan). Grease bottom only of 13x9-inch pan with shortening or cooking spray. Make and bake cake mix as directed on box for 13x9-inch pan, using water, oil and eggs. Cool 10 minutes. Run knife around side of pan to loosen cake; remove from pan to cooling rack. Cool completely, about 1 hour. For easier handling, refrigerate or freeze 30 minutes to 1 hour or until firm. Use serrated knife to cut cake into head, arms and body (template can be found under the Tips below). Place cake on serving plate or foil-covered tray. In medium bowl, mix 1 container frosting and blue food color. Divide second container of frosting among 3 separate small bowls; add pink food color to 1 bowl, yellow to 1 bowl and red to third bowl. Spread thin layer of blue frosting on body and arms to seal in crumbs. Spread thin layer of pink frosting on head. Refrigerate or freeze 30 minutes to 1 hour. Spread remaining pink frosting on head. With 1/2 cup of the blue frosting, create mask on face. 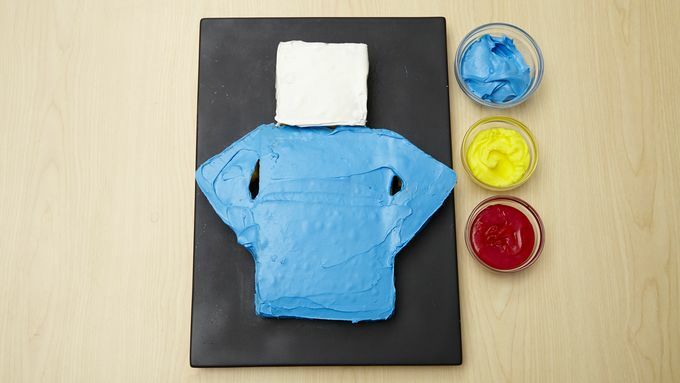 Spread remaining blue frosting to cover body and arms. Generously spread yellow frosting on top of head for hair and at bottom of cake for belt. In center of body, spread red frosting in oval shape. 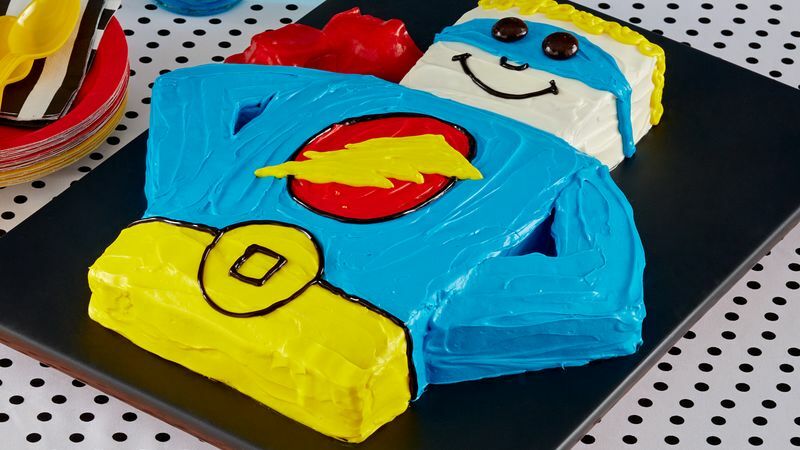 Create lightning bolt with yellow frosting on red oval. Add candies on mask for eyes. Use decorating gel to pipe nose and mouth, and to outline oval, belt and belt buckle. Crumple fruit snacks; place next to body to look like cape. 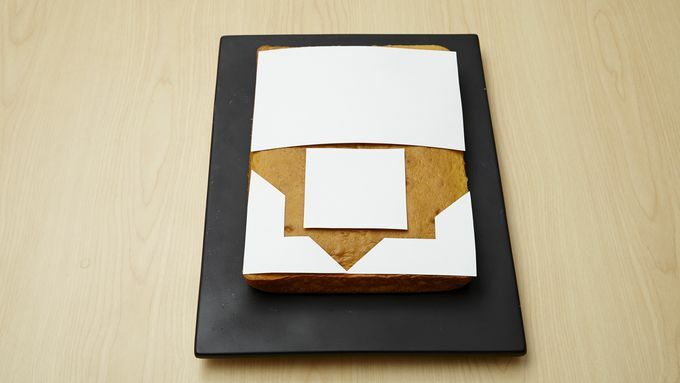 Use our Cake template to make cutting out the pieces a snap. To turn super hero into super girl, use red string licorice to create long hair on cake. Refrigerating the cake in between frosting applications will help set the frosting and prevent the bleeding of colors into each other. Use pink or brown food coloring to customize the skin tone of your superhero. Customize your cake by writing your child's name or initials in the center of the logo.